I offer Online Therapy for Postnatal Depression and other forms of depression using Mindfulness Therapy, which is a very effective way of breaking free from emotional reactivity and reactive thinking that fuels depression. The mindfulness approach is very gentle and nurturing and teaches you how take care of your inner child just as you know how to care for your outer child, your baby! Welcome! My name is Peter Strong and I am a professional online therapist. I specialize in Mindfulness Therapy, which is a very effective way of working with difficult emotions, and I offer Mindfulness Therapy via Skype. Now, this is a very useful choice for new mothers who are struggling with postnatal depression, or postpartum depression, who find it difficult to go and see a therapist in the office because, of course, taking care of a new baby takes a lot of time and any time that the mother has, she needs to rest; not be driving to a doctor’s appointment. Now, the incidence of postnatal depression is quite high: It’s certainly in the order of 10-30% of new mothers experiencing this form of depression. And, of course, you must consult with your doctor about this if you are experiencing depression or other severe mood swings. Now, postnatal depression has many causes, partly from the extraordinary changes in the hormone levels of the body, but also changes in just about every other area of your life; and these changes, of course, happen very quickly. So, changes in physiology, changes in anatomy, changes in biochemical levels in the blood and body. Changes in your relationships in the family, in relationship with your partner, relationship with the other children in the family, if there are. The way that the family sees you changes; your entire identity changes in a very short period of time after the birth of the child. So, all of these factors together contribute to quite surprising mood swings and emotional suffering and difficulties in redefining yourself, finding your identity. It’s good to try and seek help for this by talking to therapist. The online therapy option that I offer is simply one of many choices that you should consider to help you get through this difficult time. So, please, if you are interested in Online Therapy for Postnatal Depression and would like to discuss this further, contact me. We can set up a free consultation if you would like, or we can schedule a session. We can always find a time that works for you. So, please email me. Thank you! Postnatal depression (PND) or postpartum depression (PPD) affects 5-25% of new mothers and may last for a few months in the adjustment period immediately after birth. Almost all new mothers will experience some form of mild mood swings following delivery, the so-called “baby blues.” This is more to do with the adjustment to the physical and mental stress, sleep-deprivation, and extraordinary shift in family dynamics that result with the new addition to the family. Periods of irritability and sadness are common and the adjustment period may last for up to a month. However PND describes severe emotional suffering, anxiety and irritability that persists well beyond 1-2 months. If you suspect you have PND then you should consult with your doctor, who will likely recommend that you join a support group or see a counselor to learn how to manage postnatal depression as part of a comprehensive treatment program. Talking to a therapist or counselor is a sensible way of processing the emotions that you are struggling with and to stop them proliferating and causing more suffering and other problems. However, this can be difficult for a new mother, because so much of her time revolves around caring for her baby and it is difficult for her to leave home or arrange for a babysitter. Recognizing the need, Dr. Peter Strong, a professional psychotherapist based in Boulder, Colorado offers an Online Counseling Therapy Service via Skype. This means that you can have personal face-to-face sessions, but without having to leave home. The approach that Dr. Strong (who has twins!) uses is called Mindfulness Therapy, a gentle and yet very effective way of working with anxiety and depression and for general stress management. In Mindfulness Therapy, we teach you how to work with your emotions by cultivating the right kind of relationship with them, called the Mindfulness-based Relationship. Most of the time we avoid our negative emotions and often we fight them or try to suppress them. But, this simply does not work. It is well established that if you want to heal emotional suffering then you must build a relationship with the emotions based of acceptance, friendliness and care. You need to approach your emotions in the same way that you care for a crying baby. A mother knows instinctively how to do this for her baby, but forgets to extend the same care and attention to herself. In Mindfulness Therapy, we teach you how to create the right inner conditions of love and awareness that facilitates healing and resolution of anxiety, depression, irritability and any other emotions that you may be struggling with. Depression and significant mood swings are not uncommon after the birth of a baby. You should always consult your doctor if you notice symptoms of postnatal depression. As an online therapist who specializes in Mindfulness Therapy for anxiety and depression, I find that what most helps new mothers in this difficult period is to learn how to develop a very compassionate and loving relationship toward yourself, and particularly toward the emotional pain, confusion and anger that you may be experiencing. Learning to take care of yourself is important and this means taking care of your emotions and treating them with the same care and attention that you would give to your baby. This skill of inner-caring and compassion is one of the main features of Mindfulness Therapy and is one of the reasons why it is so effective. Welcome. 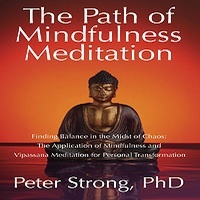 My name is Peter Strong and I’m a professional online therapist specializing in mindfulness therapy for anxiety and depression, including postpartum depression, as well. Over 1 in 7 new moms experience some form of depression after giving birth. It’s quite natural in many ways to experience some form of emotional upheaval and stress including anxiety and depression after such a significant life change for you. So postpartum depression is a little bit more intense and is associated with a lot of very strong emotions and sometimes some quite a distressing thought patents as well. The important thing is to take action and do something about this. Certainly talk to your doctor about your feelings and about your condition and get any medical help that’s necessary. But also think about ways of treating yourself with greater kindness and love because that is really important for healing this emotional storm that has become activated and this is what I can help you with. By teaching you how to use mindfulness to overcome postpartum depression without medication. Mindfulness teaches you how to change the relationship that you have to your emotions and to your thoughts. It teaches you how to essentially learn how to care for your emotions, seeing them as being parts of yourself that are in pain and that need your attention and your love. We do this by actually meditating on our emotions and those parts of ourselves that are in pain. We learn to treat our emotions the same way that we would treat our baby that is with attention, with consciousness, with care and with love and with compassion. We need to do this internally and sometimes in the busyness of being a new mother we forget to do that. We are so directed on the baby that we forget to take care of ourselves and that is not ideal because to be really present for your baby you must take care of your own emotions internally. So, mindfulness therapy is one way of helping you do this. Learning to take care of yourself inside so that you can be more present for your baby and for the family are large. So, if you’d like to learn more about how to overcome postpartum depression without medication then please go to my website, learn more about my approach, and please email me with any questions you might have and let’s schedule a therapy session via Skype to help you manage your emotions and your thoughts more effectively. Thank you. If you would like to learn more about Online Therapy for Postnatal Depression, please email me. Ask whatever questions you may have and indicate when you would like to begin. The Mindfulness Therapy approach is a really effective, yet gentle approach to helping you heal from postpartum depression so that you can enjoy your baby and the whole experience of being a mother. It may take several sessions of Skype Therapy, but you will notice significant improvements after the first 2-3 sessions.